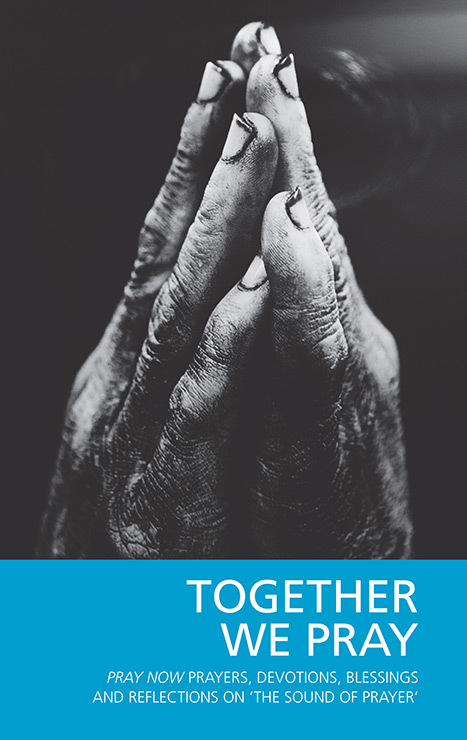 Together We Pray, the newest volume in the Pray Now annual series, is a fresh and inspiring collection of newly written prayer and prayer meditations that can be used by individuals, prayer groups and leaders of worship in large and small, formal and informal settings. This resource aims to give readers a framework of words within which to find time to think, space to listen and to begin to respond in their own way. It offers multiple ways into prayer and is an imaginative round-the-year aid for deepening people's understanding and experience of prayer. Linked to the Church of Scotland's new national prayer initiative, each of the 52 sections includes: a scripture quote, prayers for morning and evening, a short meditation, and a blessing. Scripture is full of prayers that often come from the mouths of people who are particularly honest with God. Sometimes they are joyful; at other times they are laden with lament, but all of them carry the weight of human experience that we can recognise somewhere in our own lives and in the lives of others. raise up the sick, comfort the faint-hearted. These prayers help us to say the things we can often find difficult to express. They show us that nothing is off limits with God. They invite us into a conversation. They allow us to sympathise, perhaps even empathise with the ‘other’, as we consider how we would pray with them. They encourage us to ask what we might say to God if we were in that very situation. Pray Now is ideal for praying individually, with family or in a small group, with a friend or in a pastoral care situation, in a meeting or worship gathering. The book is in two sections: the first includes meditations and prayers, while the second contains reflections on the theme of ‘The Sound of Prayer’ that consider how prayer is expressed through sound in different circumstances and environments. Special launch price of £7.50 when you order before December 2018. Pray Now can be purchased in hard copy, or Kindle version from the St Andrew Press website.